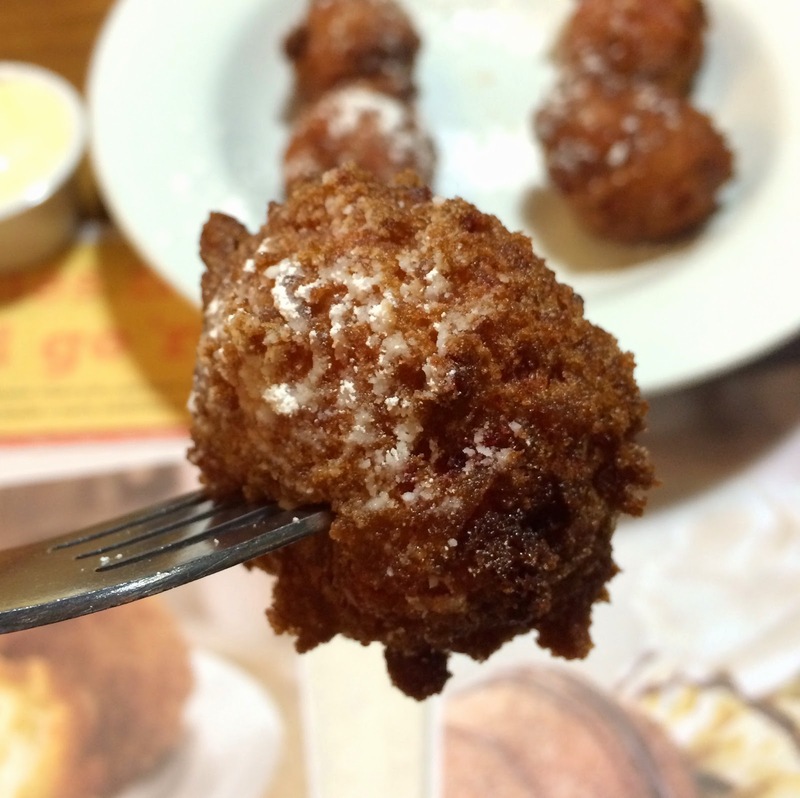 We went to Denny's one of the nights in Austin, and they had a new and limited Pancake Puppies. 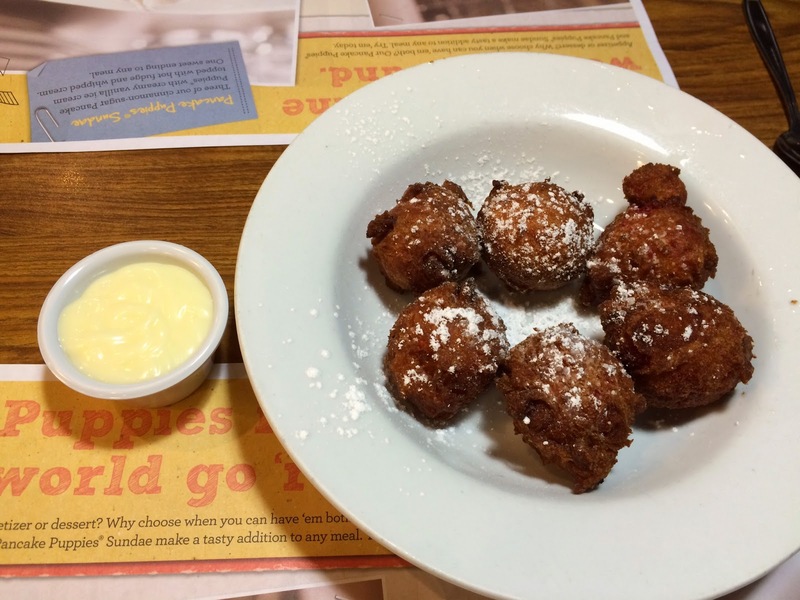 Even though I've been to Denny's in the states several times, I still hadn't had Pancake Puppies so that we decided to get some. The flavor was "Raspberry & White Chocolate" and served with frosting in a cup. When a waitress brought us this plate, she asked us if we wanted maple syrup, too, so we said yes. 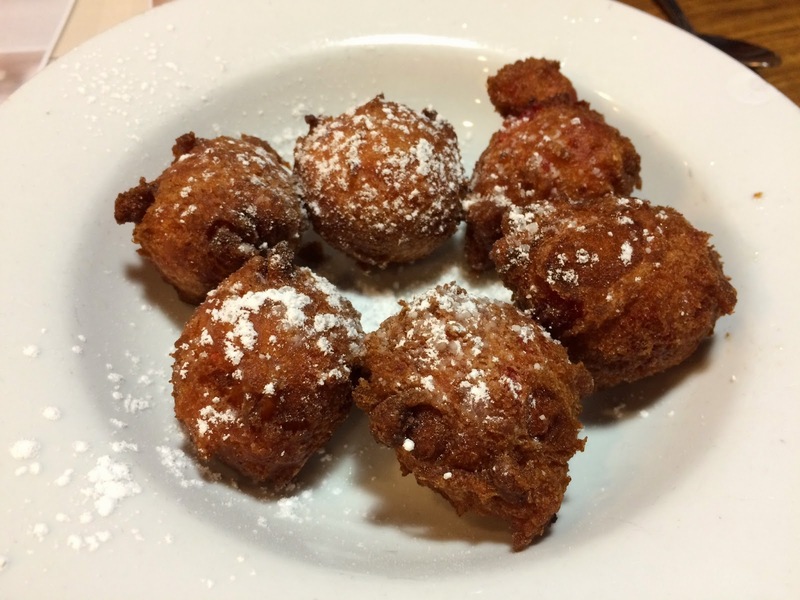 All the Pancake Puppies are golden brown and powder sugar was sprinkled. The outside was crispy and crunchy, and it reminded me of old fashion donuts. 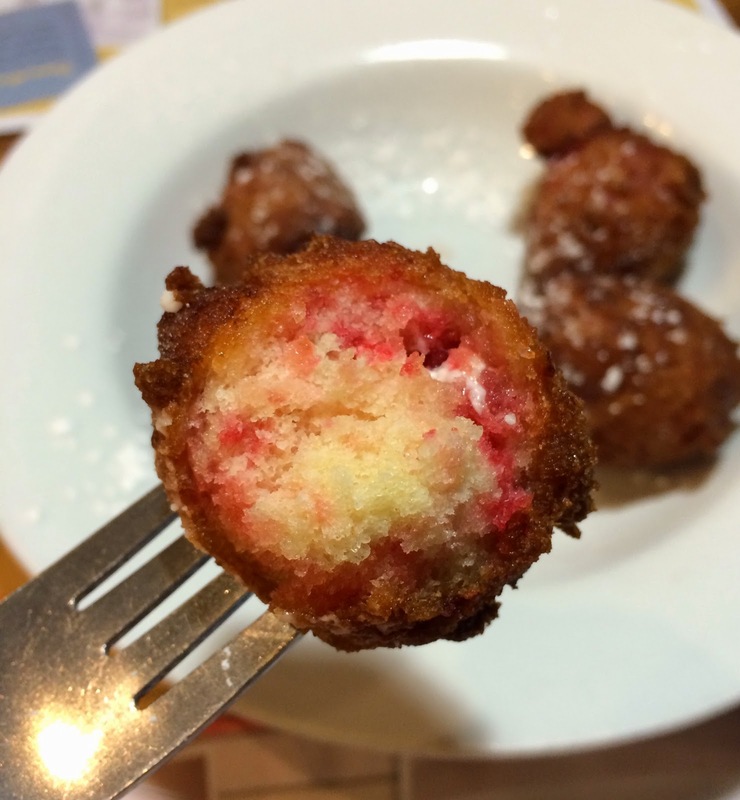 There're raspberry flavored coloring and melted white chocolate, the latter of which is hard to see in the photo below, and it tasted like sufganiyot (sufganiyah), an Israeli donut for Hanukkah. The white frosting was smooth, thick, creamy, and sweet. 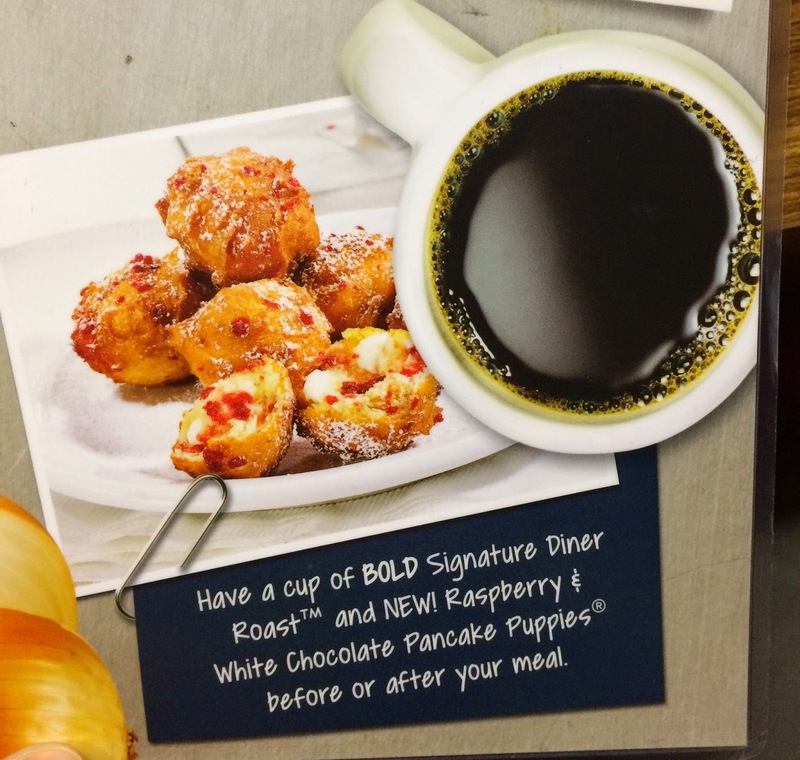 I liked dipping in both frosting and maple syrup together though Pancake Puppies were tasty as they were.